One of the most common and efficient machine in the industrial and DIY fields are electromechanical actuators. These actuators provide an array of motion systems that provide a large company the mechanical advantage of production and it gives DIY-ers and advantage of using such technology for setting up smart homes and smart appliances. Industrial actuators are available in the market for those who are seeking superb mechanical performance in terms of motion precision and energy efficiency. Low powered electric actuators are also available in the market for less industrial uses but home comfort and appliance automation. The most famous and well-used type of actuator is the linear actuator. A linear actuator has 4 basic parts in order for it to function properly. These 4 parts are the motor, nut, sliding tube, and fixed cover. The main part is of course the motor, which is powered by electricity. 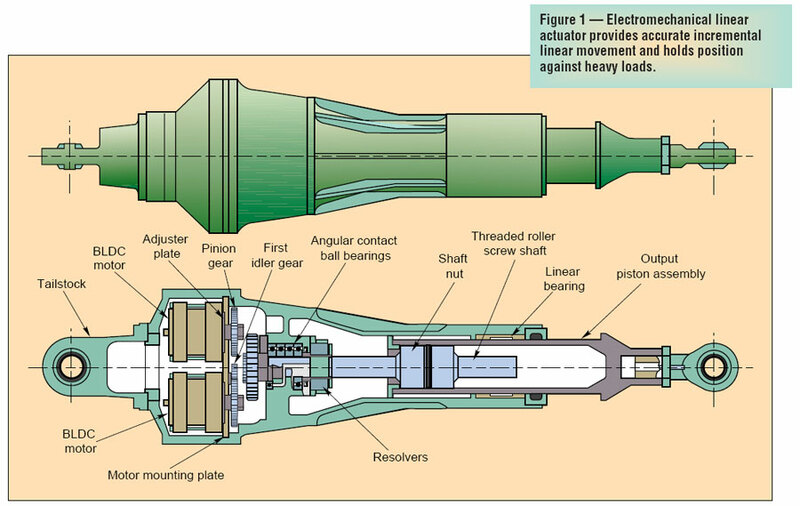 This motor is responsible for turning the nut which is fixed at the bottom of a sliding tube. 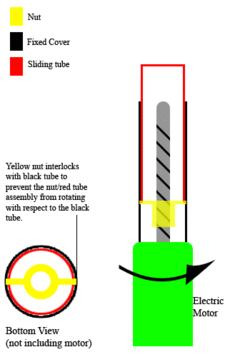 The motor can be set to turn either clockwise or anti clockwise, which causes the nut and sliding tube to either extend or retract within the fixed cover. The motion of the linear actuators is usually controlled by software in order to set the best rhythm and consistency of the machine. Linear actuators are commonly used in industrial grade motion systems but the beauty of linear actuators is that they are easily installed and can offer a wide variety of functions. This gives the benefit to the engineer or “DIY-er” since these types of actuators can easily be installed inside the home or any other workplace where motion automation is needed. An electric linear actuator utilizes the concepts applied from the mechanical and electric engineering disciplines. Therefore, the power used in watts by the actuator is a significant consideration when analyzing the requirements. Mechanical power generated by an electric actuator, is established after considering the speed and load to be moved by the actuator. As a result, it is vital to acknowledge mechanical power is a product of Force (F) in Newtons, and the motion’s velocity in m/s. Separate from mechanical power, the engineer must consider additional factors like the duty cycle, electric power-in, and efficiency of the actuator. The supplier always presents the information by showing the force-current and force-speed graph. Electric power in for the actuator is calculated by multiplying the current draw (I) by the voltage (V). With these features, the electromechanical actuators are guaranteed to deliver the user a wide array of benefits for industrial and home use.